Unity provides a tool called Tree Editor that lets you design trees directly within the editor. This is very useful when you want to create detailed forests and jungles with different tree types and variations. This section of the manual explains how to use the Tree Editor. Use the navigation column on the left-hand side of the page to view topics in this section. See in Glossary and natural wind animation. 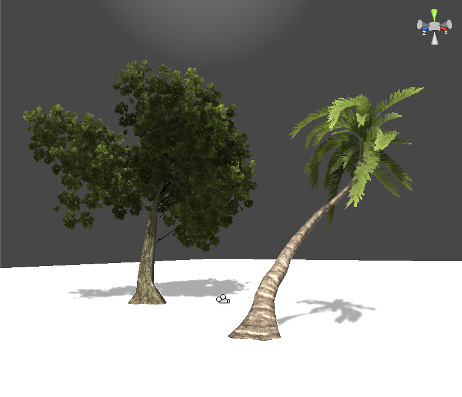 See Unity documentation on SpeedTree for more information.